GrowNYC & Greenmarket's Regional Grains Project, in partnership with NOFA-NY and The Culinary Institute of America invite you to join us for Heritage Wheat in the Hudson Valley, Saturday, February 21 at the Danny Kaye Theatre in the Conrad Hilton Library on the campus of the CIA in Hyde Park, NY. The afternoon will feature a consumer preference tasting of heritage wheat from the Value-Added grains variety trials at 2 pm, followed by a panel discussion at 3 pm on the history of grain production in the Hudson Valley, the science underlying the culinary functionality of heritage grains, and how we can use these breeds to address health and wellness issues and environmental imperatives. Panelists include: Steffen Schneider, farmer at Hawthorne Valley Farm, Maureen Costura, anthropolgist and food historian at the CIA, and Elizabeth Dyck from the Organic Growers Research and Information-sharing Network (OGRIN) and will be moderated by Chris Loss from The Culinary Institue of America. Tickets are $10 for the general public and free for CIA students with ID. The Greenmarket Regional Grains Project witnessed accidental greatness recently during a visit to Breuckelen Distilling, where we sampled a fresh batch of single malt whiskey in the company of the masterminds behind its creation: grain farmer Thor Oechsner, maltsters Andrea and Christian Stanley of Valley Malt, and head distiller and owner Brad Estabrooke. "That single malt is certainly the most exciting thing we are doing at the moment," said Brad. And to think that the malt, which Brad called "perfect," came from barley that was all but useless after being pounded by the 2013 rains. Thor credits Andrea for rediscovering the lost art of "providence malting -- an old technique for sprouted barley," he said. "She is the star here. She saved my crop for Brad. She figured out how to work with it." A budding regional grains system at work! Just a few years ago the sprouted barley would have meant a major loss for Thor. Instead, the flourishing new markets of local malt, local whiskey and local beer mean that Thor can remain financially viable, continue feeding the regional demand for grains, and thrive as one of the region's finest farmers. And thanks to people like Andrea, Christian and Brad, that means we drinkers get to taste those grains in our favorite beers and spirits. Visiting Breuckelen was the highlight of our visit to Brooklyn where we were able to see our malt in action. Being in a room together with the farmer and distiller is a rare occurrence for me as I am usually just hanging out with my malt, but not always seeing where it goes. The backstory of the barley and the malt we made for Brad was really interesting, or at least interesting if you are a malt nerd like me. 2013 was a cruel year for grains in the Northeast. We were plagued with rain in the most inopportune times, especially right when the barley was supposed to be harvested. Thor's winter barley was beautiful to look at, but under the surface something had happened when all that rain hit it after it had matured. The natural tendency of the barley seed is to sprout and reproduce. However we don't want this to happen in the field, we want it to happen in the malthouse. We identified that Thor's barley had pre-harvest sprouting through a Falling-Numbers test and attempted to malt it with little luck. Textbooks say PHS is a deal breaker for the maltster. The first batches we tried to malt went for animal feed. Then luck struck in November. The barley/malt/whisky Gods decided to intervene. Through the wisdom of a retired maltster, we learned of an adjusted steep schedule that would allow us to malt this PHS barley. We ran a few test batches, got things sprouting and BA-BAM we were making malt from Thor's barley. We sent a few tons to Brad at Breuckelen and he was very happy with the results. In fact the lower PH mash that this malt produced was exactly what he wanted for this single malt whisky. Given the crazy turn of events, I think this should be called Serendipity Single Malt. Ceres, the Roman goddess of grain, clearly must have been listening to our pleas and answered them with Gisella Isidori, a fairy Italian grandmother to call our own. A long-time friend of Greenmarket and the New York City restaurant world, Gisella has worked for more than 30 years as an Italian food and travel consultant in both the U.S. and Italy. She also really knows her pasta. In the 1980s she ran a pasta business in NYC called Ciao Italia. Gisella also boasts a decades-old love affair with grains: spelt, quinoa, wild rice, you name it. It seems there isn’t a grain out there she hasn’t transformed into incredible pastas. In October, Gisella delighted GRGP by giving a class on making pasta the true Italian way in our home kitchen, and again the following day at the Union Square Greenmarket. We stood with rapt attention across the counter from her, as she kneaded dough with stamina, strength and precision befitting the generations of Italian women who came before her. 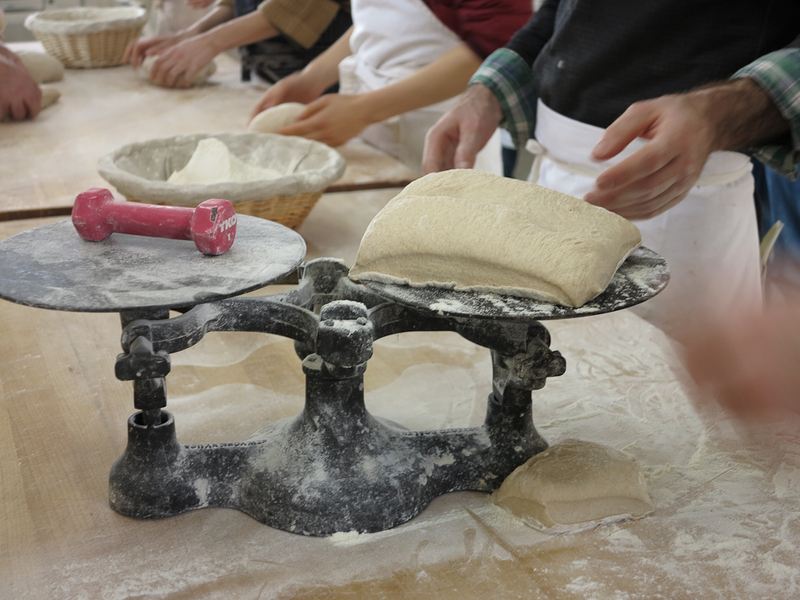 Using no more or no less than the right proportions of flour and salt, with a little olive oil and water, Gisella tirelessly kneaded four doughs -- buckwheat, einkorn, emmer and chestnut -- making each round of pasta the perfect texture of silky and smooth. While her technique varied little from recipe to recipe, the results were unique to each flour's grain. The emmer revealed a nutty sweetness, whereas the einkorn was far earthier. The buckwheat was smooth with a beautiful lavender-gray tone, and then mixed with a whole wheat double zero flour for a spectacular finish in the traditional Northern Italian dish called Pizzoccheri. 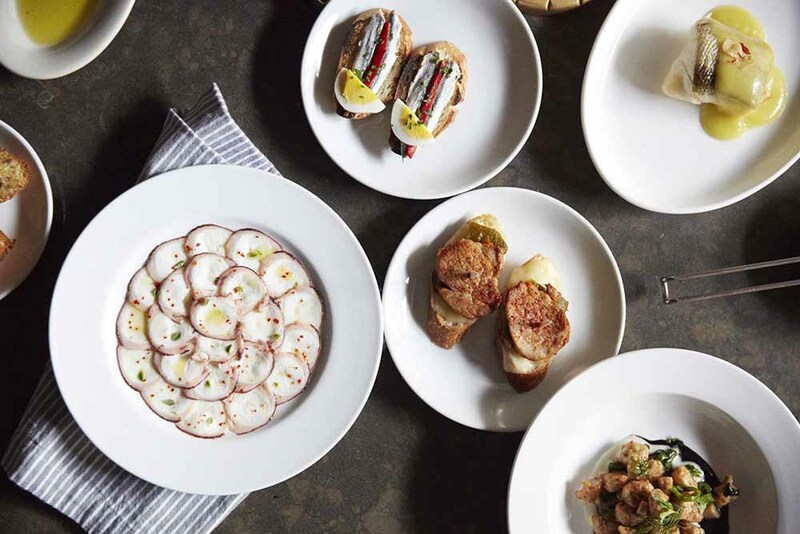 Gisella waxed sentimental about the dish, recalling childhood memories growing up near the Swiss border in Northern Italy, where buckwheat was a staple at her family’s table. Gisella comes from a generation that knows the value of good food, and lets nothing go to waste. After everything was rolled, cut and cooked, the scraps were saved—all the different pasta leftovers rolled into one ball. “Dry it out for a few days, and then grate it over a pot of boiling water” for a delicious "massa grattata,” she instructed. We will keep trying to get our technique down, but we can't promise we'll ever be able to give it her delizioso touch. Grazie Mille Gisella! Make sure you watch the video and look at the pictures showcasing Gisella's exciting pasta demonstrations! Garrett Oliver is the brewmaster at the Brooklyn Brewery, author of The Brewmaster’s Table and one of the foremost authorities in the world on the subject of beer. We were thrilled to have Garrett work with regional grain growers and local malting facility, Valley Malt, in order to develop a recipe for Greenmarket Wheat beer. We asked Garrett a few questions about his experience working with these local ingredients for the first time. 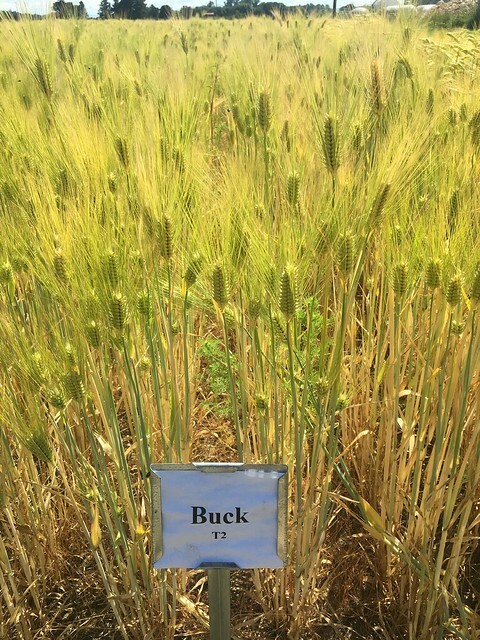 What qualities about the Greenmarket Wheat distinguish it from other beers you’ve brewed? GO. Brooklyn once had 48 breweries and made 10% of all the beer in the United States – it was one of the great brewing capitals of the world. But even in those days most of the grains were coming from the Midwest. Greenmarket Wheat is one the first beers made with mostly New York State ingredients in over 100 years. I was one of the founding board members for Slow Food USA, so the opportunity to do this is very exciting for me. What qualitative comments do you have on the local malt you worked with for the Greenmarket Wheat? Compare its qualities to other malts you’ve worked with. Are there noticeable differences? Does it remind you of any other malts? GO. Both the malted barley and the un-malted wheat are quite good. They have a round and sweet character. Those flavors come through beautifully into this beer. For the Greenmarket beer I chose the traditional Belgian witbier (white beer) style. There were a number of reasons, but the main reason is that wheat grows well in New York State. 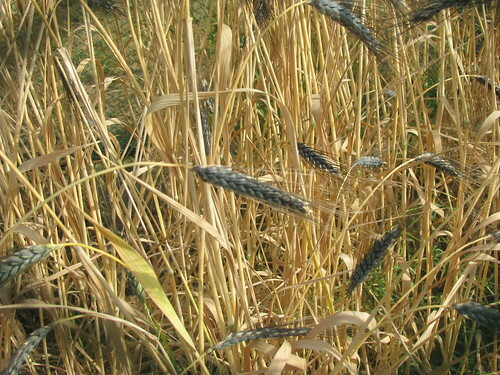 Barley is grown in the state, but there are no malting facilities of any size in New York. So it made sense to brew a style that uses raw wheat. Fortunately we were able to find good New York State barley and have it nicely malted (sprouted and dried) by Valley Malt across the border in Hadley, Mass. The beer is about 40% raw wheat and 60% malted barley. Eventually I think we can get the New York State grain content up to 90% or so. What does it mean to experiment with new malts for a beer? How is it different from experimenting with hops, yeast, or other ingredients that give character to a beer? GO. We use a wide variety of malts at Brooklyn Brewery. When we taste a new malt we brew a mini-mash, which extracts all the sugars and aromas from the grains, and taste that. The wheat, from Kevin Richardson of North Country Farms, smells a little like cream of wheat, or like pasta boiling in a pot. The Valley Malt, made from barley grown by Peter Martens, is mildly sweet and very aromatic, a bit like baking biscuits in the oven. We ferment the beer with a Belgian yeast and lightly spice it with orange peel and coriander, which is traditional for this type of beer. Then the beer is bottled completely flat, gaining all of its carbonation through a natural secondary fermentation in the bottle, just like Champagne. So this beer is really old-school, and the techniques we use give it real texture and depth. It’s great with food. In the past, you have described different beers as being like your favorite albums. Extend your musician/album analogy to the Greenmarket Wheat. What kind of song is it? What are you saying in the song? GO. As an artisan, you hope to have a long, interesting career. If things go the way you want, your skills grow over time and your work gains greater and greater depth and quality. It’s sort of like being a jazz musician, and the beers are like songs. And just as I might want to listen to different types of music on different days, I’m going to be in the mood for different beers as well. And I think that the analogy extends into the work itself. Technical ability without soul ends up being empty – that’s what the industrial brewers have. You have to have something to say, and also the skills needed to “say” it. In our beers, I always strive for elegance, no matter what the beer is. 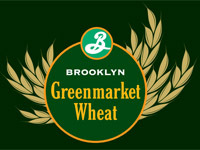 And Greenmarket Wheat is a great way to express the principles that Brooklyn Brewery has always stood for. I’m told that we were the first 100% wind-powered building in NYC. This beer gets us closer to being the brewery we want to be. The Northeast is in the process of rebuilding it’s infrastructure for growing and processing grains. These are still new, young businesses without a track record or expertise and could even be risky to work with if a batch does not work out. What is it like to work more directly with farmers and maltsters who are developing their own knowledge base and skills? GO. Valley Malt is more than twice as expensive as any malt we’ve ever purchased, but we understand that the cost is justified. They have to build their malting business up to where they have economy of scale, and we want to support them in that. We have to make sure, along with the grower and the maltster, that what they’re giving us is up to the standards we need in order to make the beer we want. Peter, Andrea and Kevin are all attuned to that aspect of things, so they’re a pleasure to work with. Beer was originally a farm product – real beer is as agricultural a food as you can imagine. New York State once led the nation in hop farming – we’re looking to use New York State hops as well. Has the opportunity to talk with the farmers whose products go into your beer deepened your appreciation of your product and what it takes to create a beer? GO. We’ve always known many of our people. Until recently, though, many of our suppliers have either been in the Midwest or other countries. In the case of hops, we bought all of our hops through brokers, but we didn’t really know the farmers themselves. That’s’ changed over the past few years. 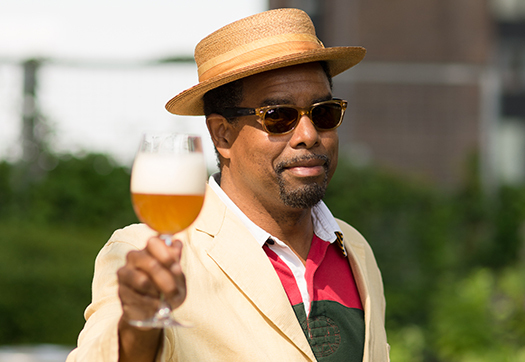 One of our most recent Brewmaster’s Reserve special releases, Scorcher #366, is actually a beer that was made to tell the story of the hop farmers. “#366” is a new hop variety that’s still not commercialized, and this beer features it. People who read about that beer will come away knowing something about the farmers and their work. The idea is to connect the consumer to the farmer, and pass credit for the quality of the beer back down the line to its roots. How has the conversation around “local beer” progressed over the past several years? GO. In the past we’ve been cautious about promoting what we’re doing with local ingredients and green practices. The reality is that “no good deed goes unpunished” and it’s easy to end up accused of green-washing. We don’t want to go there. No business is going to be perfect with regards to the environment, but I think we’re doing very well. We’re using wind power, our spent grain goes back to the farms to feed animals, and now we’re able to make beer from ingredients grown on nearby land. What future do you see for beer with local ingredients, particularly in consumers’ demand for it? GO. When we’re able to feature NYS bred and grown hops that’ll be a great day. I think it’s coming soon – people are working hard on rebuilding our local hop industry. Back in the day we used to have everything in NYC, and all of our markets were full of local produce. Then, over the last century, we walked away from the farm and away from the producer. We wrapped our lives in plastic and walked away from real food. The food “revolution” that’s happening is actually more of a “renaissance” – it’s a recovery from a broken, unappetizing and unhealthy food system. We’re making great progress, and GrowNYC is a big part of that in NYC. And real beer is good for you. Greenmarket Wheat is unfiltered and chock full of vitamins. Even government health guidelines will tell you that it’s good for you to have a beer every day. So people should drink up! You can pick up a bottle of Greenmarket Wheat at the Union Square Greenmarket on Wednesdays and Saturdays. It will also be served at the upcoming Farm Aid concert in Saratoga Springs, NY on Saturday, September 21. Greenmarket farmers are using cover crops to help with soil fertility, soil quality, water management, pest, disease and weed control, as well as income revenue. Cover cropping is an integral part of sustainable farming and when used thoughtfully can greatly improve the viability and resilience of a farm, a key advantage in today's changing climate. With this in mind FARMroots interviewed three Greenmarket farmers, to learn more about their cover cropping practices. When did you start cover cropping? Way back in the 90’s me and my father used to argue about cover crop. We were mostly growing rye and his point was that if you plant rye in the spring and think you can plant [a vegetable crop] into that rye later, you’re going to have a mess. The rye will take over. And he had a point. So my dad was in charge, and I had trouble feeding the soil the way I wanted to feed it. He retired in 1999, and when I took over control I started a more extensive cover cropping system. So I’ve been doing it intensively since 2000. My main with cover cropping is feeding the soil, but I also like it for erosion control. What are your main cover crops and what do you use them for? My main cover crops are oats, sorghum Sudan, rye, and hairy vetch and I’ll do different things with them. For example, I had a field that I’m putting into garlic this fall. I put it into Sorghum Sudan earlier, which I took out at the beginning of August and planted oats. The garlic won’t get planted until mid-October and the frost will have already burnt [the oats] down a bit. I plant other fields in oats later in the year, three weeks into August in preparation for next year’s spring planting. Those oats will winter-kill and the field will be ready to be planted in the spring. I also plant some fields with oats early in the spring; fields that I know are going to be out of production all year. Oats like cool soil, so they get planted in the spring, in March. Sorghum Sudan likes warmer soil, so they get planted in the summer, or mid May. Then at the beginning of August I take that out and plant a hairy vetch/rye mixture (50/50). So for ground that I’m leaving out of production all year I have three different cover crops. What kind of positive results have you seen from using cover crops intensively over the past 13 years? Sorghum Sudan grows a lot of roots and has a lot of mass. I’ve seen my organic matter creep up over the years. When I started cover cropping intensively in 2000 my organic matter was at about 1.5%, and now, 13 years later, it’s up around 3-4%. It might not seem like a lot but it is. The Sorghum Sudan has a lot to do with that. Every time you plow you are burning carbon and you need to get that back in. I’ve seen a steady increase in my yields since I’ve been cover cropping. Where do you see your cover cropping development going over the next few years? My aunt and uncle bought a dairy farm recently that came with the haying equipment, hay customers, and hay fields. Before I had access to that equipment and those fields I was in a 1-2 year rotation with cover crops. Now I’m in a 3-4 year rotation. I have about 80-100 acres in alfalfa which I use both for nitrogen fixation and for hay. I am also getting more into the production of small grains for income generation. I grow rye and vetch for seed which I combine and sell to other small farms in the region and I think I’ll continue to do that. I also just sold 8 tons of rye to a distillery across the river and I have two breweries looking for barley. I grow some wheat now and I’ll be putting in barley soon. I’m continuing to try and grow cover crops in between my plastic. In ’09 it was a little bit of a nightmare but I’m trying it again. We had a twilight meeting a couple of weeks back and there were a lot of organic farmers on my farm talking about their own ideas in growing cover crop in between plastic. It was a nice collaboration and good to see a mixture of folks talking about the same thing. Of the 1000 acres that I farm, 500 are in pasture and cover crops. That’s 50% of my farm and I don’t see that changing. It’s very important to me. My daughter is studying plant science right now and I think she understands better now what I’ve been trying to do. That’s exciting. I drill red clover in the fall and I mix it in with things from the mustard family like arugula, tat soi and last year we did a lot of turnips. I’ll harvest the cold-hearty mustard family stuff for sale at markets, and let the clover continue to grow. For me, clover is mostly a soil amendment, like a fertilizer. This year I’m going with red clover because it’s what’s available, but I’ve done white in the past. The clover over-winters, and we wait until there is a good stand in the summer time to take it down. That leaves the field out of production for a few months in the spring, but I’m lucky enough to have enough land to make it work. I also plant winter rye in the fall in pretty much any place where a crop has finished and I’m not planning on planting anything for late-fall or winter harvest. Rye is both a fertilizer and good for holding the soil, erosion control. I till that in the spring before it goes to seed. Sometimes, if the stand is good enough, we can use it for mulch (hay). During the summer if there is any time when a field is being left open, I plant buckwheat. I like buckwheat because it keeps the weeds down. It’s good for bees but they can be an issue when you’re trying to till the field. You also have to be careful to not let it go to seed because it grows so fast. Any space that I don’t use right away during the spring goes into oats, which is a good holding cover crop for just before something else is planted. Oh, and did I mention weeds? Weeds are by far our number one cover crop. We love our weeds! 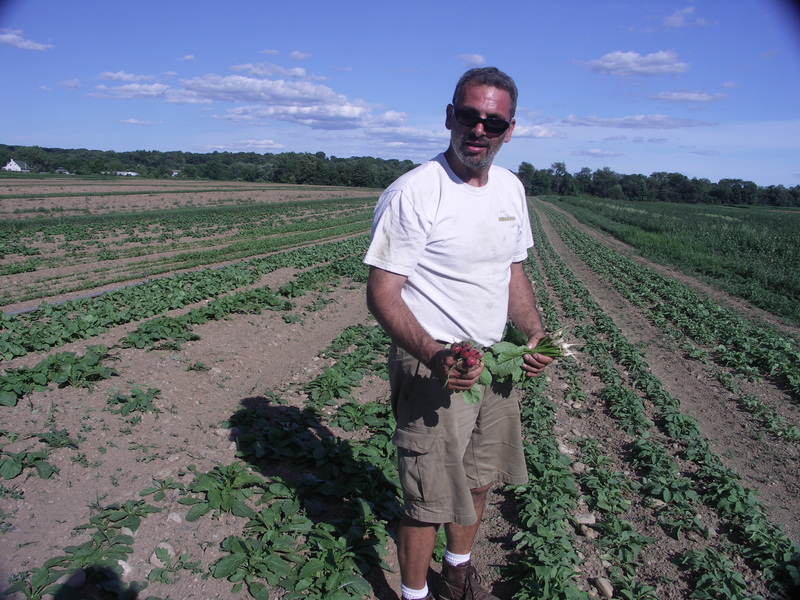 Richard Giles owns and operates Lucky Dog farm in Deleware county, a 150 acre organic diversified vegetable farm. 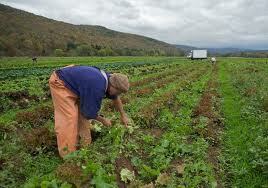 He grows 60 acres of vegetables and the rest he puts into pasture and cover crop. He also has some of his land that is kept in permanent sod that his chops up for his compost pile. Learn more about his cover cropping techniques below. I’ve used cover crops since I’ve been on this farm and we started in 2000. We started cover cropping our first fall with some help from the Watershed Agricultural Council (WAC). They have always promoted cover cropping. Since then, as we’ve taken on more land, we make it a habit to cover everything. We're in a flood plain which gives us great soil but means that we’re very prone to flooding. So we have another reason (besides soil fertility) for cover cropping. We try not to keep any ground bare. We use mostly winter rye mixed with hairy vetch. The rye has a really dense mass of roots so it’s great at soil holding. We also use it as a green manure, and use a neighbor’s combine to harvest our own seed for future plantings. We also have a distiller right here in Walton who makes whiskey using our rye. So that’s another goal, turn more cover crops into cash crops. Rye also make a great chop for compost, so we’ll chip it up and put into the compost pile. Being an organic farm we make our own compost. Over the past couple of years we’ve started planting a little wheat and we’ve been expanding our acreage. We have about 20 acres of wheat this year, which is cover and cash crop. It’s dual purpose. We’re milling flour up here. I’ve sold wheat as commodity but never been to the mill with it like this. Like anything else there’s a lot to it. We have a pasta maker who uses it and we’re selling it at farmers markets too. People are also really excited about the wheat berries. That’s the nice thing about selling in New York City. People are willing to try new things. We’ve also used oats in places that weren’t so much a flood risk. We plant the oats in the fall allowing them some good growth and then they winter kill. That leaves a really nice place for a spring planting. We also have started planting clovers in with the oat crop in some cases. We grow that all the way through the next season and when things come in behind that there is real nice nitrogen fixation. We leave fields like that out of production for almost a whole year. Erosion control is the easy one. Just this fall we had rye that had only been up for 3-4 weeks and we got a fall flood. Just 3-4 weeks of growth from the rye and we could see down through the water that the plants had taken root and were holding the soil in place. So just that growth helped us a lot. Its dramatic how much it holds. We’ve also tried to build new organic matter using cover crops. Plowing in a heavy gross crop like rye is a great way to do that. We see internal drainage benefits and see benefits with the roots of our crop plants. We’ve got a no-till drill that a guy up here rents to us, so we’ve started doing some [rye drilling] to come in behind crops when we’re late or have just harvested. The beans for example, we will get a frost tonight and probably lose the crop, but we can come in with the seed drill and plant rye directly into the beans without tilling. Basically we’re trying to get cover crop on every inch of the land that we’ve got here. 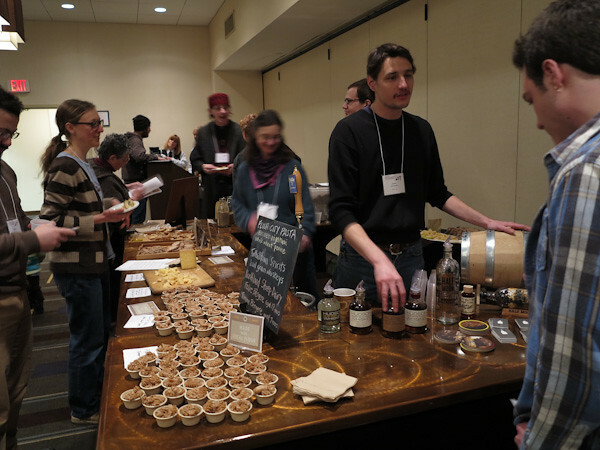 It was a “Wheat and Greet” that set the tone for the weekend as attendees arrived on a Friday night late last month for NOFA-NY’s annual Winter Conference in Saratoga Springs, New York. Local breads, pastas, beer, and spirits flowed freely as tasters chatted with the growers and processors who created them. Standout products included Flour City’s emmer fusilli and Kelso Brewery’s Rauchbier made with a smoked triticale malt, both of which consistently surprised people with outstanding flavors not normally associated with beer and pasta. To the question most heard throughout the night — “Where can I buy this?” — suppliers could happily point people to the many stores now stocking their products. Not bad for a region that just a few years ago did not have much in the way of food-quality grain. On Saturday, Greenmarket and the Organic Growers’ Research and Information-Sharing Network, hosted a workshop on grain processing where presenters shared their products and experiences with a crowd of current or aspiring entrepreneurs hoping to launch their own thriving business in the delicious world of grains – be it growing, malting, milling, baking, or distilling, to name just a few. Greenmarket and OGRIN debuted their recently completed technical assistance video: A local Grain Renaissance in the Northeast. Each year, the conference features a “grains track” with workshops covering topics like how to set up a malting facility to work with the many new regional distilleries; how to grow and mill food-grade grains, and new research on crop yields and disease resistance among the many grain varieties in the region. While there is still much to be done, the NOFA-NY conference showed that the links in the supply chain are strengthening, new infrastructure is being built, and the wonderful symbiosis from farmer, to grain processor, to consumer continues to grow. If you missed the conference, fear not! Greenmarket and the Organic Growers’ Research and Information-Sharing Network host a Shortcourse on Grain Processing in the Northeast on March 2 at Glynwood in Cold Spring, NY. Contact Elizabeth Dyck at OGRIN (edyck@ogrin.org) to register.